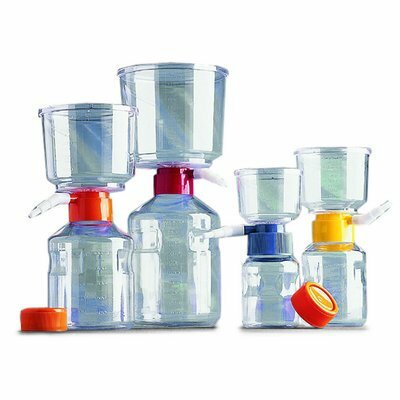 Features printed funnels that identify membrane type and product number for easy product product identification. 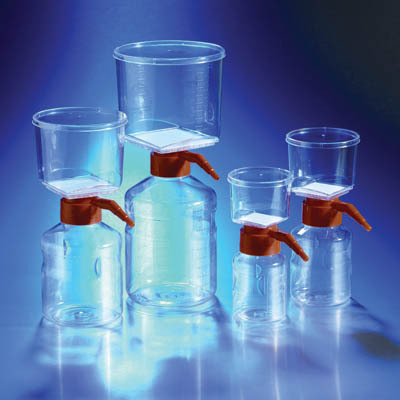 Corning™ Disposable Vacuum Filter/Storage Systems provide a complete solution for your filtering needs. 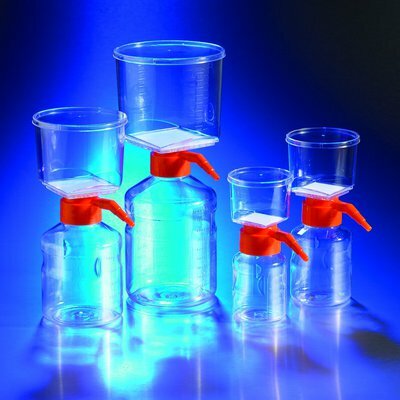 The system consists of a polystyrene filter funnel joined by an adapter ring to a removable polystyrene storage bottle with a separate sterile polyethylene cap. 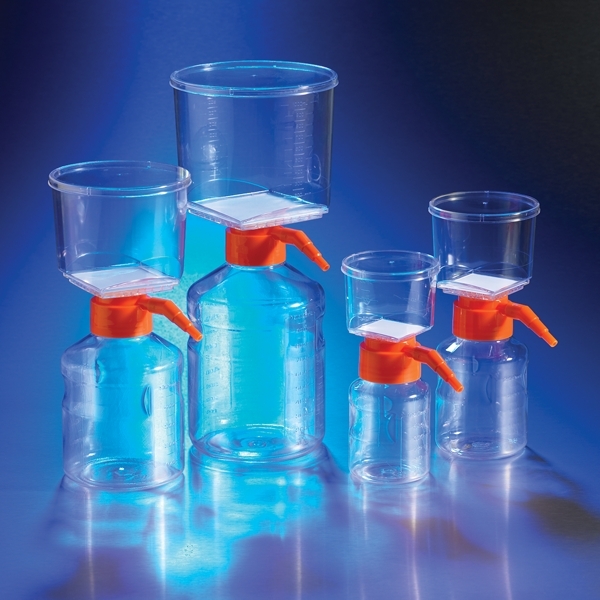 Receiver easily unscrews from unit and can be sealed with a plug cap for filtrate storage.